Scope of Work: AV Design, Financial Modeling, Brand Development, Construction and Integration Oversight. 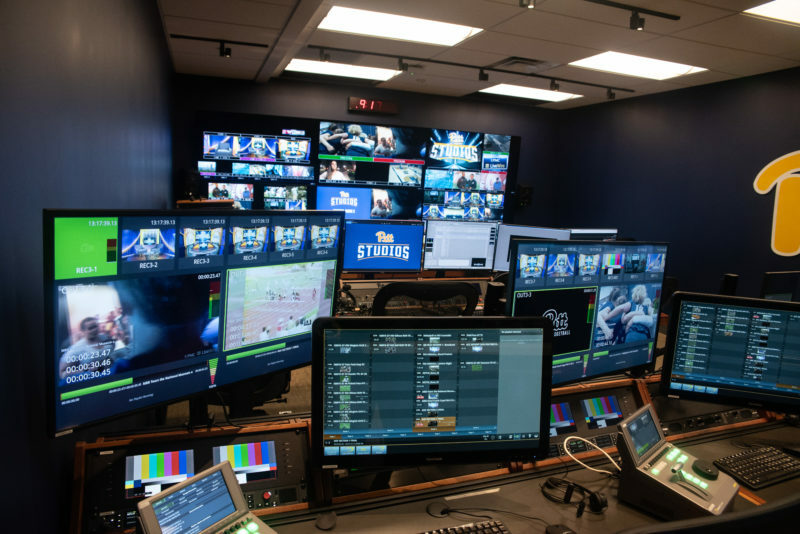 Anthony James Partners worked closely with Pitt Athletics and the University of Pittsburgh to develop a cutting-edge, 6000-square-foot broadcast facility installation at Petersen Events Center. Operating as Owner’s Representative and AV Consultant, AJP supported the exciting endeavor through project development, AV design and engineering, procurement and oversight of the construction and integration. 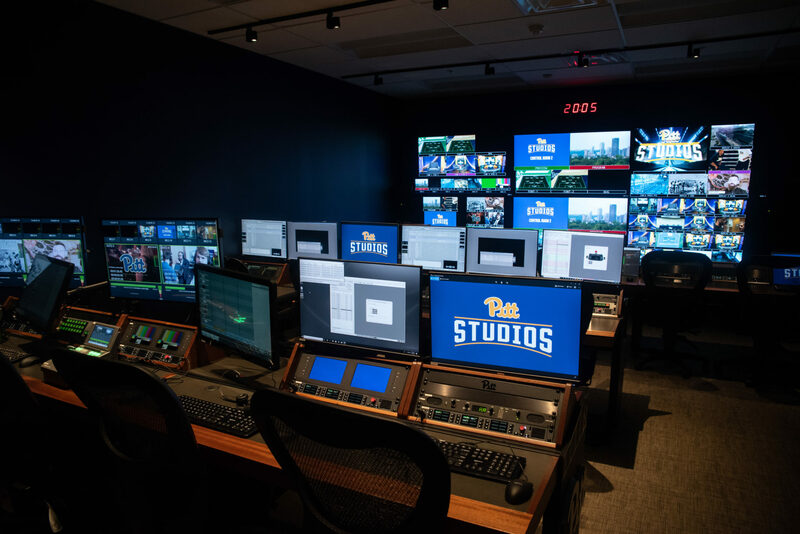 Pittsburgh is now ready for the launch of the ACC Network, with a state-of-the-art broadcast facility that is among the best in the country. 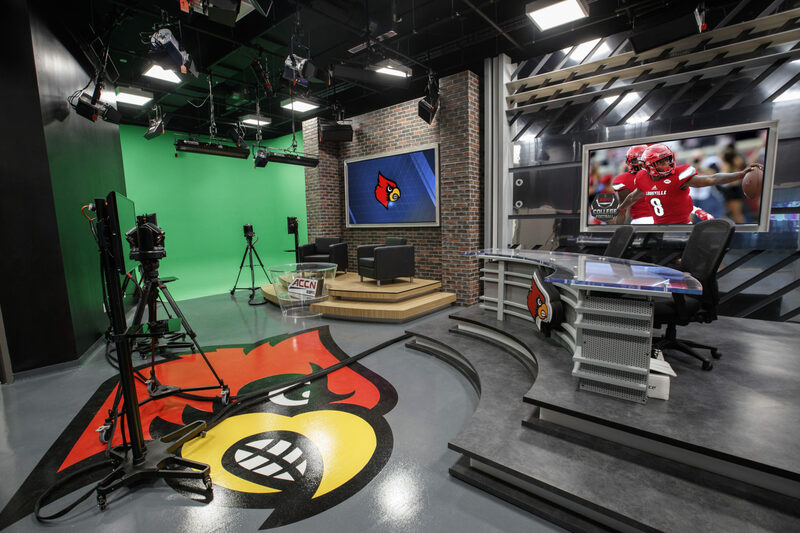 With variable sets, a full green screen wall, 3x control rooms and 5x editing suites, the versatile television studio will enable live interviews on any ESPN platform and/or broadcast channels. 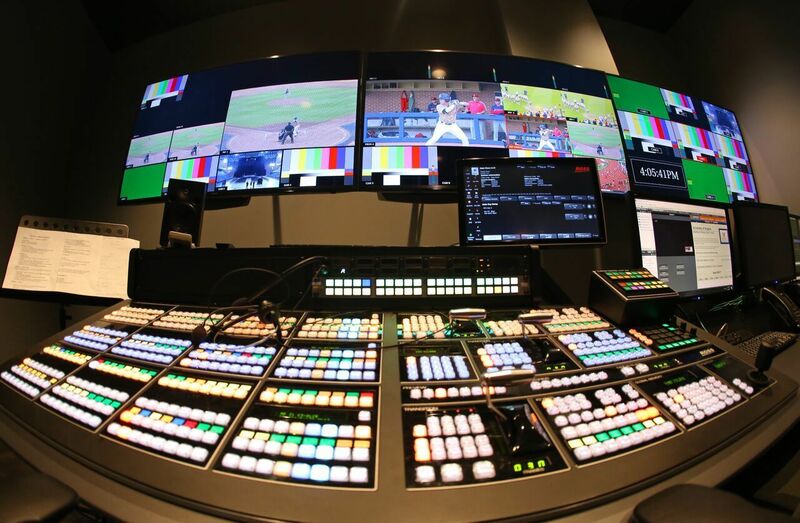 The broadcast hub is connected via fiber to the Petersen Sports Complex, Fitzgerald Field House and Trees Pool, and will be responsible for over 100 sports broadcasts per year to support the launch of the ACC Network. 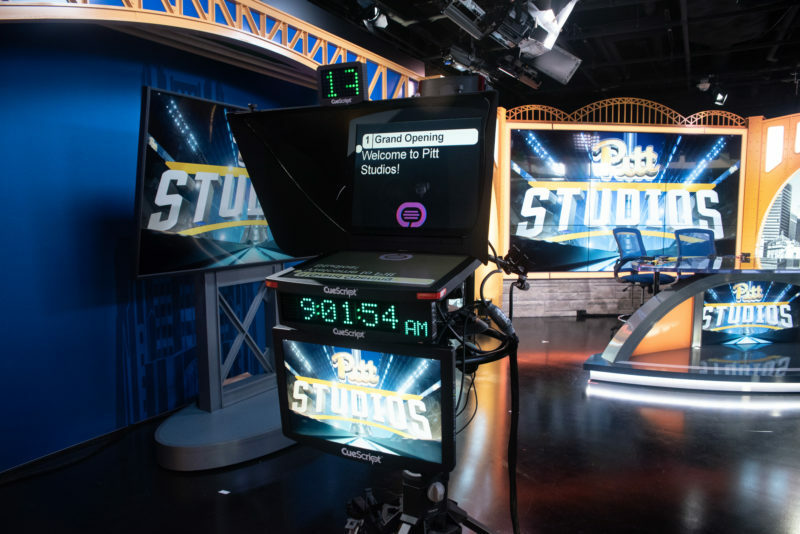 With the band playing and cheerleaders smiling, Pitt Studios, the university’s $12 million investment that eventually could bring almost every sport on campus as close as your Watch ESPN app, was introduced Thursday by athletic director Heather Lyke. 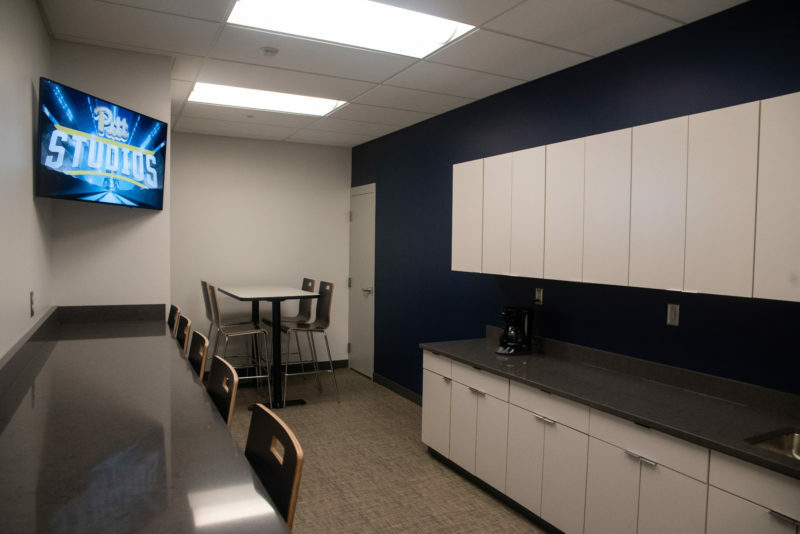 The 6,000-square foot broadcast facility, housed off the lobby of Petersen Events Center, will bring myriad opportunities for almost all Pitt student-athletes and coaches. 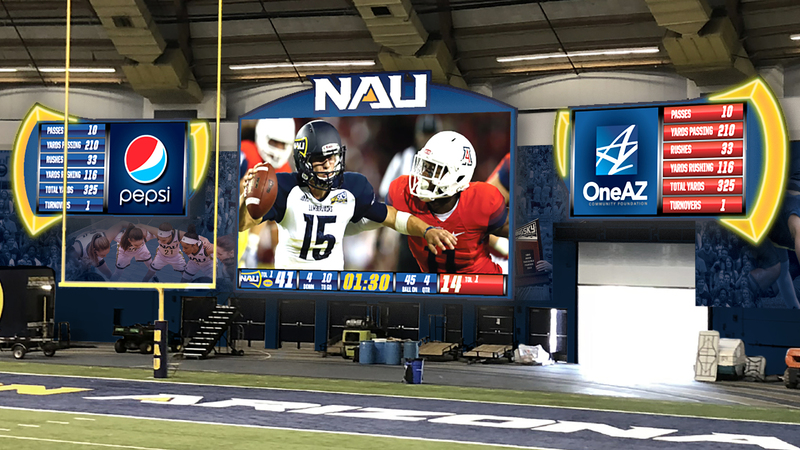 There are possible recruiting enhancements, naming-rights and sponsorship deals, and just the mere act of getting the Pitt brand out where the outside world can see it. Game telecasts get started this fall with nine events: five volleyball matches featuring Pitt’s No. 8-ranked team and four soccer games. More will come later in the academic year and reach a crescendo with the launch next fall of the ACC Network. 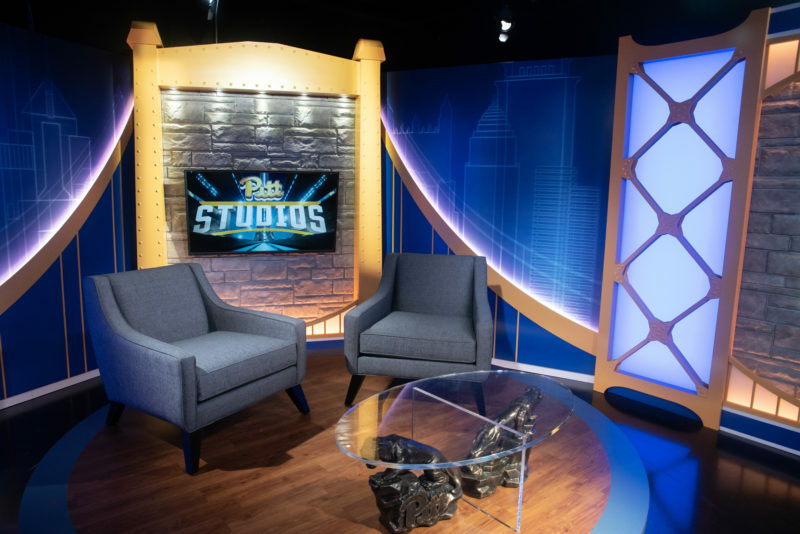 Pitt Studios is the result of a partnership between the university and Harmar-based NEP, an international production company that does business in 24 countries and produces 75 percent of the live athletic and entertainment events in the world, according to CEO Kevin Rabbitt. 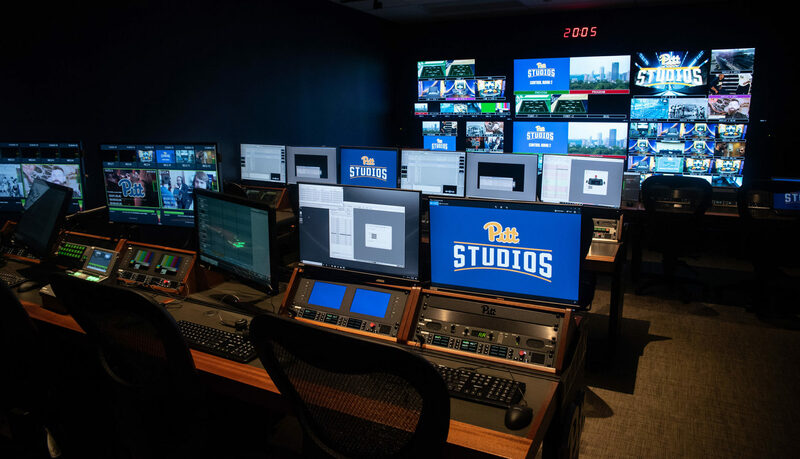 Lyke said baseball, softball, soccer, swimming, basketball, volleyball, wrestling and gymnastics at Pitt eventually will be part of programming on the ACC Network, with production rooted at The Pete. 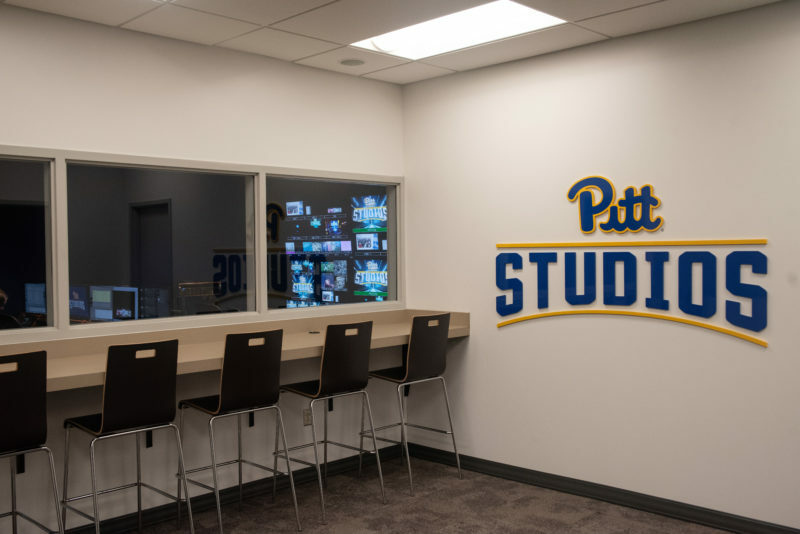 More importantly, Pitt Studios presents a unique academic opportunity for students, many of whom will man the controls, point the cameras and even do play-by-play. 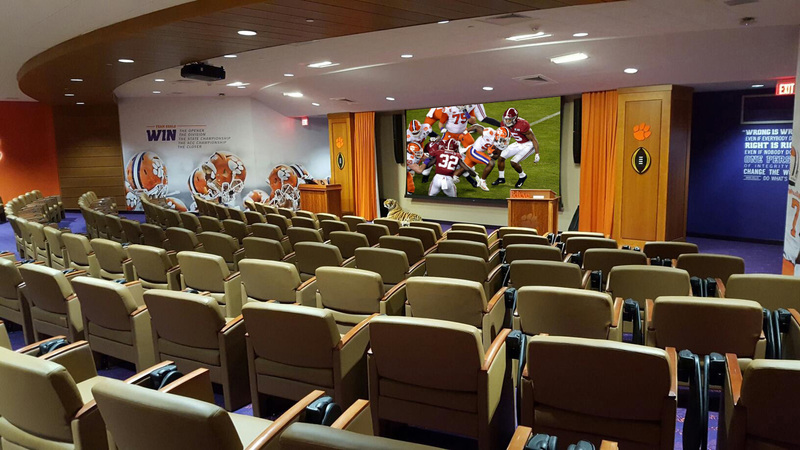 It also will facilitate the first broadcast class ever taught at Pitt. 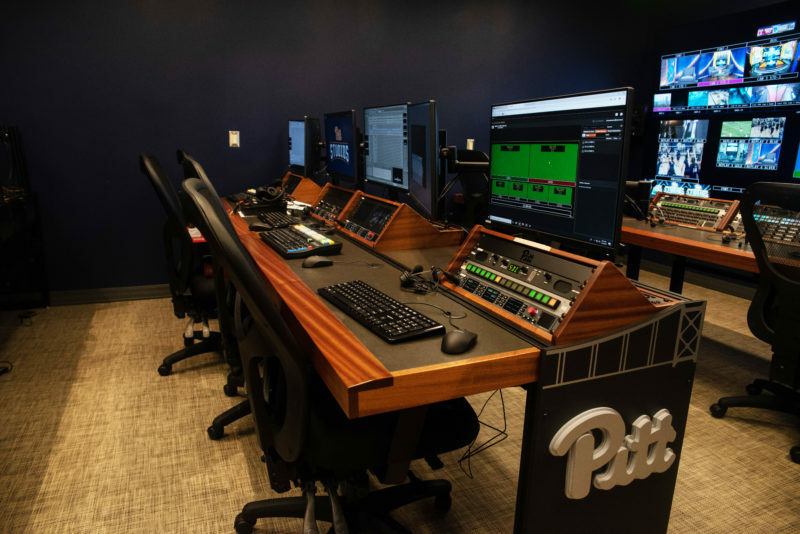 Plus, Pitt has formed an academic partnership with Point Park, whose students will have internship opportunities working on live ACC Network telecasts. 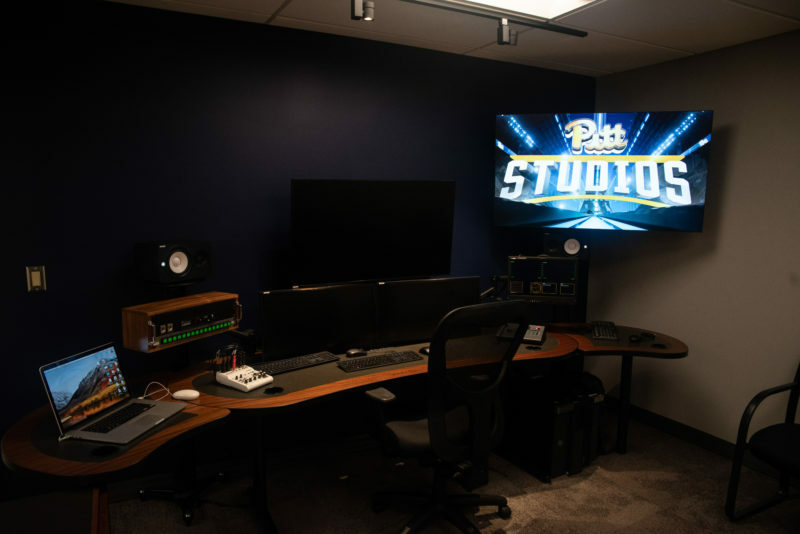 Pitt Studios includes three control rooms, five editing suites and a broadcast studio, all not far from the floor at The Pete. 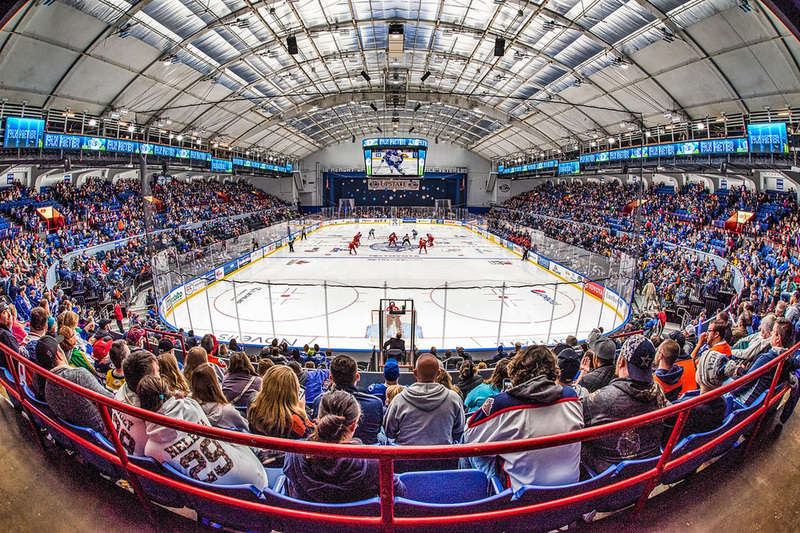 Its scope eventually will spread to Fitzgerald Field House and Trees Pool.